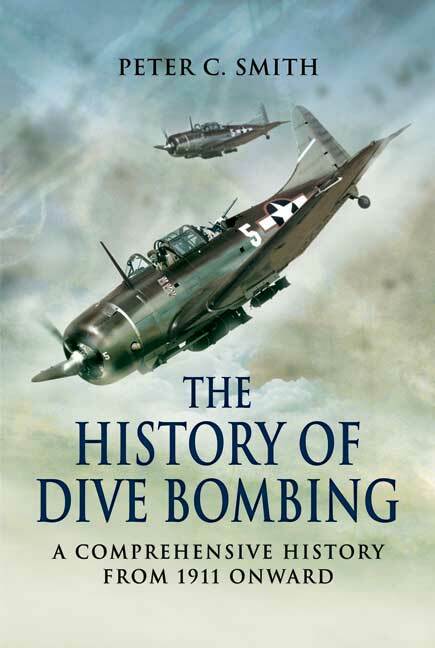 You'll be £4.99 closer to your next £10.00 credit when you purchase The History of Dive Bombing. What's this? This is the incredible history of the dive bomber told from both official records and eyewitness accounts. It tears away the many myths and misrepresentations that surrounded this type of warplane and presents a truly original and detailed history, from the first true combat dive bombing by an RAF pilot in 1917 to the last stirring wartime actions. Interviews with the pilots who flew the combat missions in dive bombing aircraft of all the combatant nations give unique first-hand eyewitness viewpoints on many of the major actions and methods employed. From a detailed description of what it was like to fly the very first dive-bomber missions into Poland on 1st September, 1939; through equally enthralling accounts of British attacks on German warships during the Norwegian campaign; Stuka missions against the French and British forces in May and June, 1940, and on throughout the war. Some well known aircraft types include the Curtiss Helldiver, Aichi D3A1, Blackburn Skua and the infamous Junkers Ju 87 'Stuka'. These passages chronicle dive-bombing in the context of a conflict, not the development of tactics over the years, which is why this book is all the more important. A well written, well researched volume on a topic that has until now received very little coverage. This fascinating book, filling a clear void, is a fine addition to any aviation library.